Wheaton, Illinois is an affluent Chicago suburb located 26 miles west of the city. The county seat of DuPage County, Wheaton retains a small-town feel while still having all the amenities of a big city. Home to 53,000 residents, Wheaton is ranked 6th on the National Council for Home Safety and Security’s list of the Top 100 Safest cities in America. The city is also among the top 12 suburbs in Chicago Magazine’s list of Best Places to Live. Wheaton boasts a gorgeous downtown area with a variety of local shops and restaurants, which is why it’s such a popular choice for small business owners. The area also hosts a variety of community events each year, including: Ice (Cubed) Fest, Wheaton Restaurant Week, Taste of Wheaton, and Wheaton’s Wine & Cultural Arts Festival. Wheaton is also home to the DuPage County Fair, which is held annually and attracts thousands of visitors. 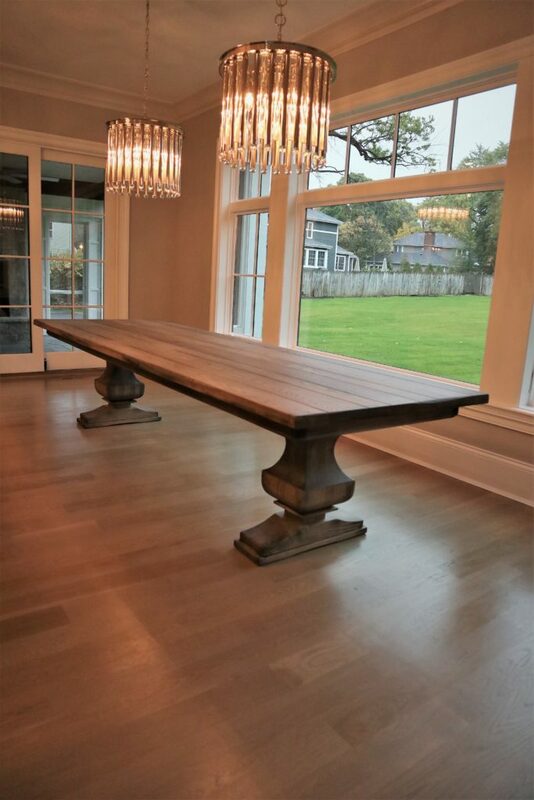 Rustic Elements Furniture is a Wheaton custom furniture shop that specializes in handcrafted wood tables. 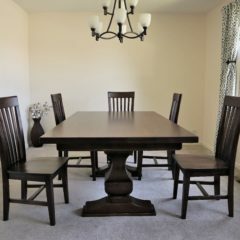 We are located in Joliet, Illinois, but build custom wood furniture for residents and business owners throughout the Chicago suburbs. 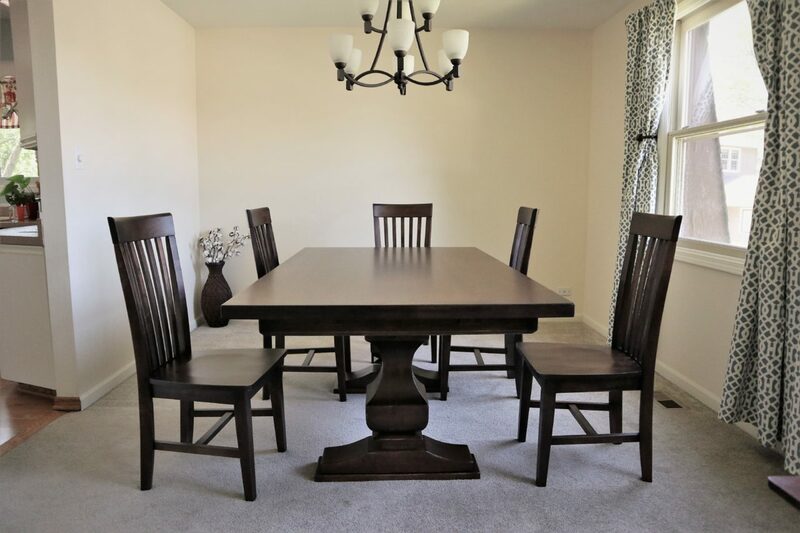 At Rustic Elements, we pride ourselves on being a furniture company you can trust. All of our wood tables are built using only the highest quality materials available. 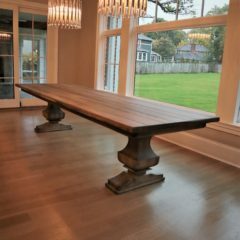 We finish our tables using a commercial grade finish imported from Italy that is extremely tough, making our furniture durable and scratch & dent resistant. Our furniture can also hold up to common household spills, such as wine, cleaning products, nail polish, and bleach. We can build almost any type of wood furniture, including: island tops, media centers, bookshelves, chairs, and hutches & buffets. We build custom pieces, meaning we work with you every step of the way to bring your vision to life. You choose the size, style, color, and level of distress and we do the rest! 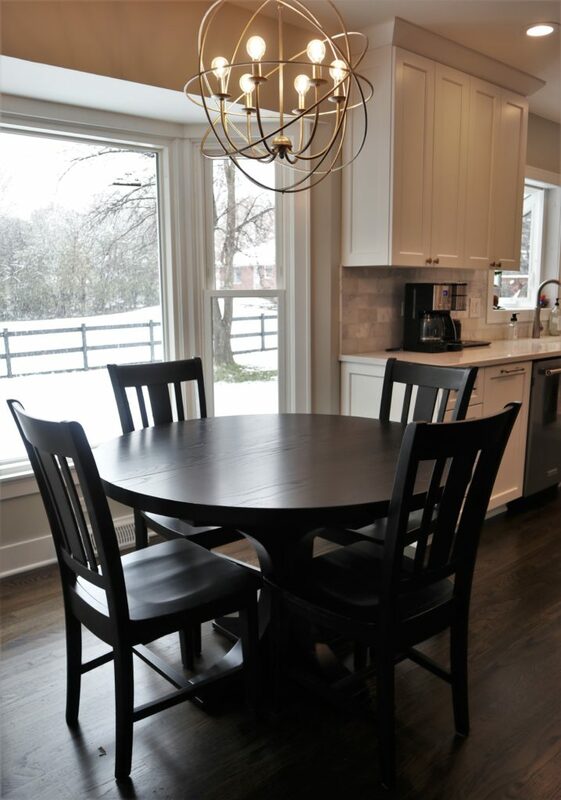 If you don’t have time to wait for a custom piece to be built, we have ready made furniture pieces available for immediate purchase in our current inventory. 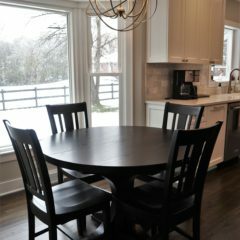 Need a custom piece of furniture for your Wheaton home? Contact Rustic Elements Furniture today!